You know what this gluten free pasta recipe is? A dinner unicorn: wonderfully easy to make with a handful of ingredients and ridiculously delicious. No exaggeration. Make this once and you’ll return to it again and again. You can substitute broccoli or broccoli rabe for broccolini if you desire (though we love the broccolini). Just be sure to halve broccoli stems and florets for faster cooking. Have fun with this one. We do, regularly. Bring a medium pot of heavily salted water to a boil. Add the pasta and cook until al dente, roughly 1 to 2 minutes less than the package directions. Reserve 1/3 cup of pasta water, drain the pasta, and set aside. Meanwhile, heat a medium skillet over medium-high heat. Add the olive oil and sausage to the pan, and cook, breaking up the sausage with a wooden spoon as you go, until the sausage is almost fully cooked, 6 to 8 minutes. 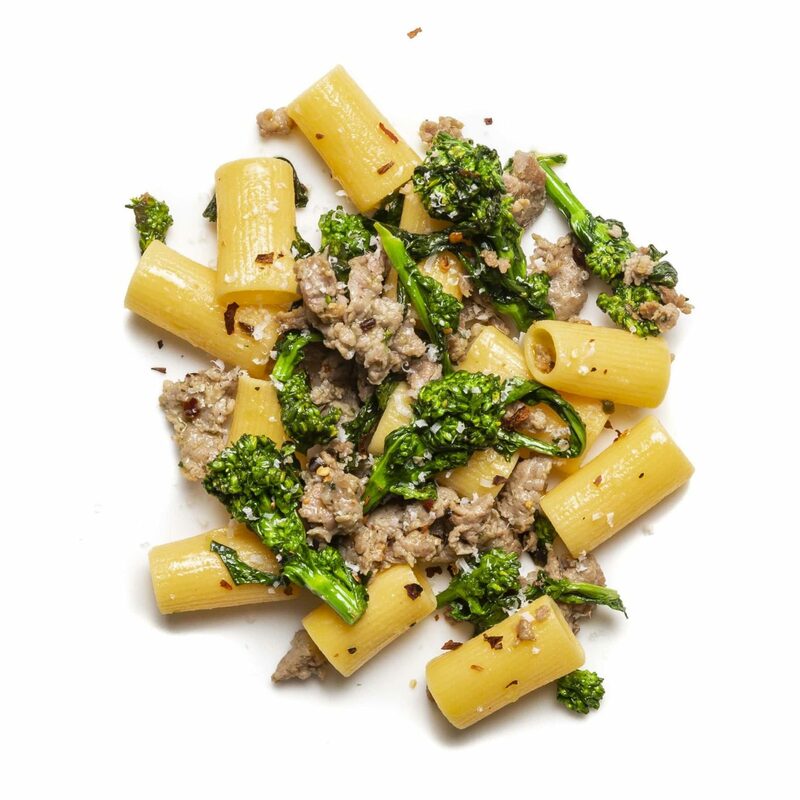 Add the broccolini, season with ½ teaspoon salt and ¼ teaspoon pepper, and cook for about 6 minutes, stirring regularly. Once the broccolini starts to soften, add the red pepper flakes, toss to combine and cook for another minute. Add the pasta and the reserved pasta water and stir to combine. Remove from heat and stir in the Parmesan. Serve.